UPDATE: As of 7:25 a.m. Tuesday, 905 customers were still without power, most of those in Milwaukee (759). 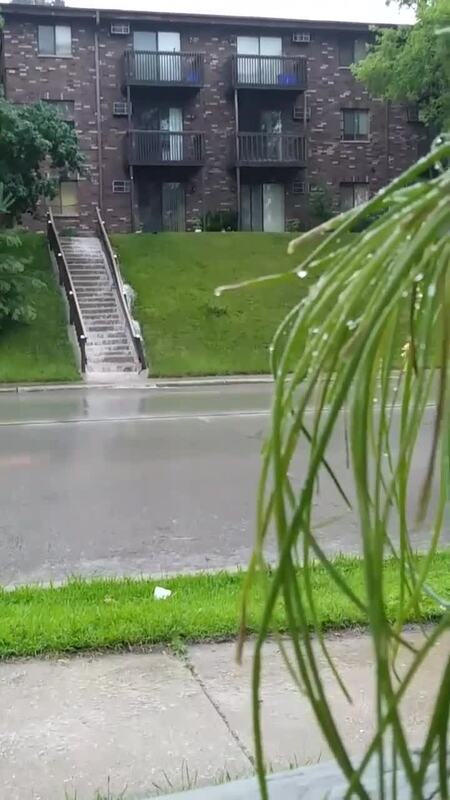 MILWAUKEE -- More than 16,000 We Energies customers were left without power Monday after downpours moved through southeast Wisconsin. Just over 10,000 of those 16,000 customers were located in the City of Milwaukee. Franklin had 2,453 customers without power, while Wauwatosa, Glendale, and Whitefish Bay all had fewer than 1,000 customers experiencing issues. You can see the We Energies outage map here. 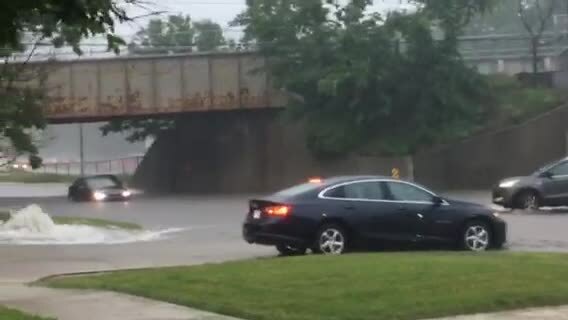 Several local roadways temporarily flooded over Monday as heavy rain moved through. Port Washington Rd. in Glendale became impassible around 3:30 p.m. after a brief downpour. 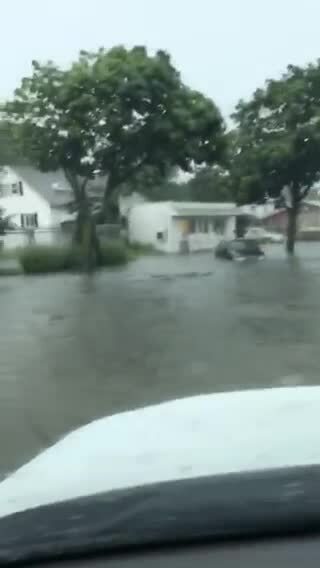 People in the area tell TODAY'S TMJ4 water was up to car doors. Capitol Dr. in Wauwatosa was also briefly impossible as floodwaters accumulated. The Milwaukee Public Library announced both its Capitol branch at N. 74th St. and its Washington Park branch would be closed for the remainder of Monday's hours due to flooding in and around the building. The Milwaukee County Transit System said bus service may be running behind as well. Stay up-to-date with the latest Storm Team 4Cast here. This is a developing story. Check back often for updates on this developing story.